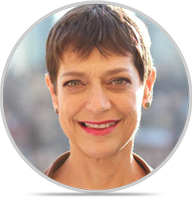 "To understand is to invent"
Dr. Idit Harel is an Israeli-American tech entrepreneur and a visionary edtech pioneer in inventing new-media technology for cultivating creative learning, innovative thinking, and globalization through constructionist learning theory. She is an award-winning learning scientist and founder and CEO of several edtech startups, most recently Globaloria. During 1985-1994, Idit conducted breakthrough research at the MIT Media Lab that led to publishing many articles about learning computer programming and education technology, including a special issue about her research by the Journal of Mathematical Behavior, an article in the inaugural issue of a new learning sciences journal called Interactive Learning Environments, as well as the book Constructionism she edited with Seymour Papert, and her book Children Designers received the 1991 Outstanding Book Award by the American Education Research Association (AERA). She was a Research Scientist and Lecturer at MIT from 1988-1994. In 2004, Idit Harel and Seymour Papert were called to help Nicholas Negroponte write the first educational proposal for the “$100-Laptop-Project” to the Chinese Ministry of Education. In 2007, a suite of MaMaMedia activities were selected for One Laptop Per Child (OLPC) to be customized for worldwide use by thousands of kids in developing nations. In 2005, Idit taught in China educational software engineering (a graduate course she called From Confucius to Papert in 120 Days), and she introduced Papert and Constructionism into the Chinese education system, as well as to tech entrepreneurs, and academic scholars. To incubate inventions of global constructionist learning projects, and to leverage her award-winning research, business acumen, and constructionist education leadership, Idit founded the World Wide Workshop in 2004, again with Papert on her Advisory Board, for spreading innovative digital learning projects to benefit youth and communities around the world. The Marvin Minsky Music Education Project (Music, Mind, and Meaning) was also incubated at the World Wide Workshop from 2012-2016. By 2014, after a decade of research, development, and pilot trials, the Workshop was ready to spinout Globaloria as an independent company, to scale its impact globally. Today, Globaloria is a leading provider of STEM and Computer Science Education in PreK-12 schools and districts nationwide, teaching kids how to think, and preparing youth for the global innovation economy. In Texas, for example, Idit created Papert-style school-wide and district-wide implementation of CS integration into every subject and every grade level, becoming the first model for making CS mandatory for all teachers and students in PreK-12 grades that will impact statewide policy in years to come. Idit was named the 2010 Recipient of the Jessie McCanse Award for Individual Contribution to Media Literacy by the National Telemedia Council, and was named an Education Innovation Disruptor Fellow by the Tribeca Film Institute. She is a published author, blogged, and speaker worldwide, and has been a major contributor to inventing new higher-ed degree programs by serving on Advisory Boards and Committees at the Harvard Graduate School of Education, CUNY Macaulay Honors College, Colorado University’s ATLAS Institute, and MIT Media Lab. Over the past two decades, Idit has mentored young women entrepreneurs and CEOs, and inspired new media initiatives globally on boards such as PBSKids Next Generation Media, MEET in Israel, TIG in Canada, and Saybot in Shanghai. Idit is a former competitive gymnast on Israel’s national modern gymnastic team, professional dancer, mother of three, grandmother of two, and holds degrees from Tel Aviv University (BA, 1982), Harvard University (HGSE EdM; CAS 1985), MIT Media Lab (PhD, 1988), and Stanford (Business School Executive Education, 2008).